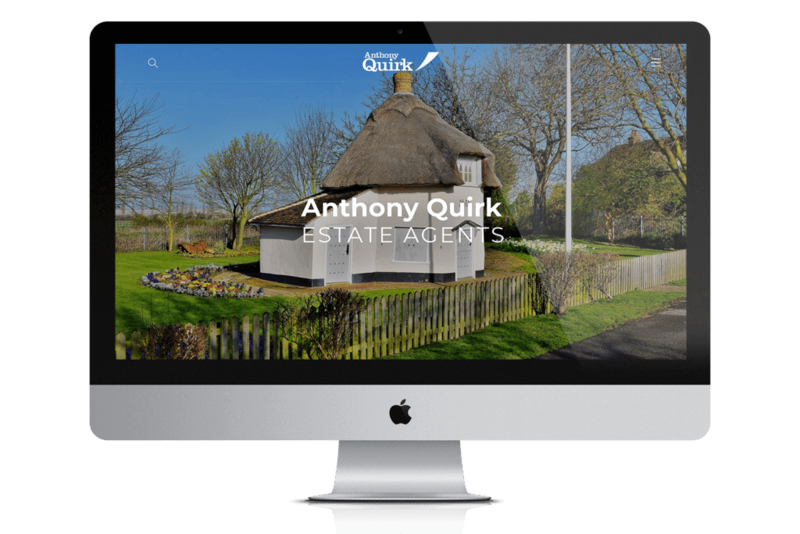 Anthony Quirk is part of a large family of Quirk Estate Agents in Essex and we were thrilled to be asked to re-design their website. Their current site was starting to look a little tired and so they were keen to bring it up to date with a modern responsive design that reflected their brand. We focused heavily on UX design for this project, ensuring customers could easily find the relevant information they required as quickly as possible. Although Rightmove is the ‘go-to’ website for finding a property, the client wanted to ensure that they could also offer this to their visitors without having to leave their website. We therefore worked alongside ‘Dez Rez’ (property feed specialists) to include a live feed to the new site. This way the client only needs to update the status of a property once for it then to automatically update both Rightmove and their own website.